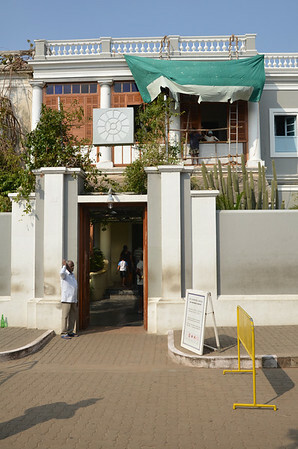 Founded in 1926, the Sri Aurobindo Ashram has grown, under the Mother's guidance, from a small group of two dozen disciples into a large diversified community with almost 1200 members. 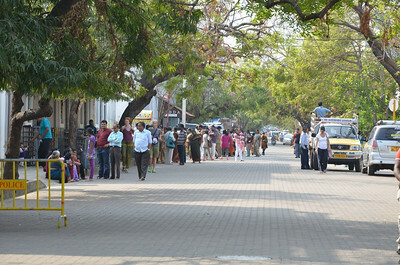 Counting the 400 students of the Centre of Education and the hundreds of devotees who live nearby, the larger ashram community consists of more than 2000 people.Situated in a busy city of over 700,000 people, the Ashram is not a quiet place of retreat but a vibrant centre of life in a modern urban setting. 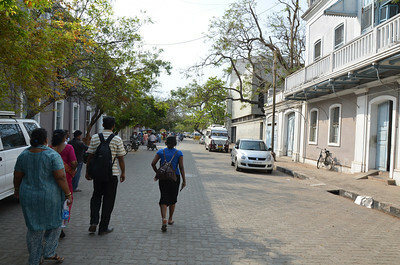 The dynamic character of the community reflects the life-affirming aim of Sri Aurobindo's Yoga. Work as an offering to the Divine is an essential aspect of the Yoga, and all Ashramites do a certain amount of productive work each day in one or another of the Ashram's departments. 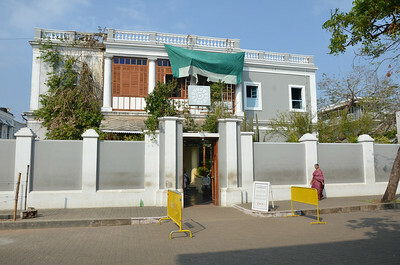 The Ashram is located in the eastern part of Pondicherry. 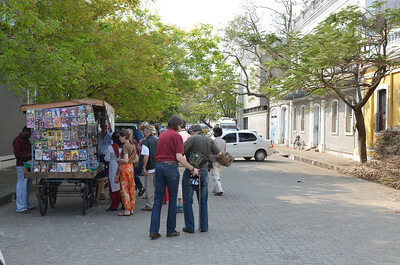 Ashramites live and work in a large number of buildings spread throughout the area. 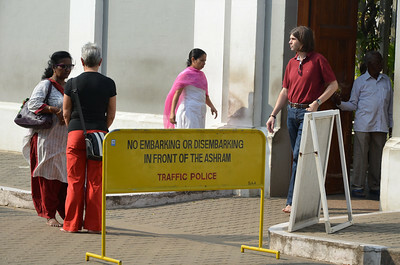 The focus of community life is the Ashram main building, usually called simply "the Ashram", which consists of an interconnected block of houses, including those in which Sri Aurobindo and the Mother lived for most of their lives. 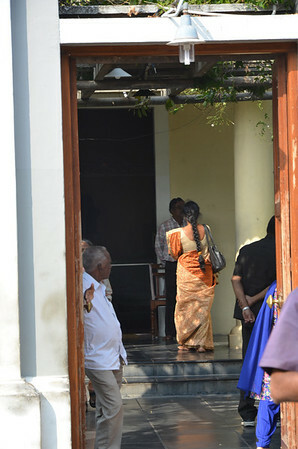 At its centre, in a tree-shaded courtyard, lies the Samadhi, a white-marble shrine where their bodies are laid to rest. The Ashram provides its members with all they need for a decent and healthy life. Various departments have been organised to look after the basic requirements of food, clothing and shelter, as well as medical care. 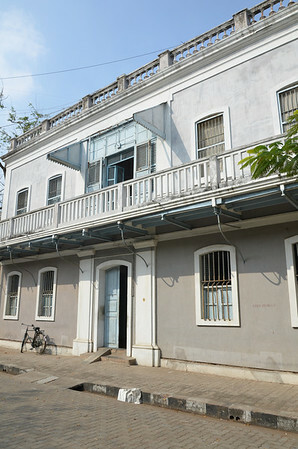 There are also libraries for study and facilities for a variety of cultural pursuits. 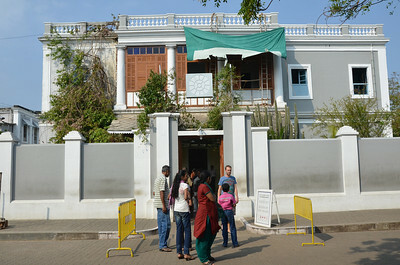 The Ashram is administered by the Sri Aurobindo Ashram Trust. Sri Aurobindo was born in Calcutta on 15 August 1872. At the age of seven he was taken to England for education. There he studied at St. Paul's School, London, and at King's College, Cambridge. Returning to India in 1893, he worked for the next thirteen years in the Princely State of Baroda in the service of the Maharaja and as a professor in Baroda College. During this period he also joined a revolutionary society and took a leading role in secret preparations for an uprising against the British Government in India. 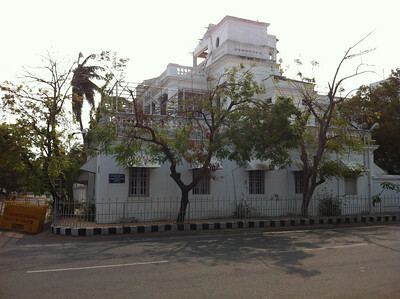 In 1906, soon after the Partition of Bengal, Sri Aurobindo quit his post in Baroda and went to Calcutta, where he soon became one of the leaders of the Nationalist movement. He was the first political leader in India to openly put forward, in his newspaper Bande Mataram, the idea of complete independence for the country. Prosecuted twice for sedition and once for conspiracy, he was released each time for lack of evidence. 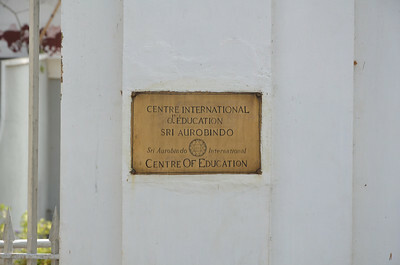 Sri Aurobindo had begun the practice of Yoga in 1905 in Baroda. In 1908 he had the first of several fundamental spiritual realisations. In 1910 he withdrew from politics and went to Pondicherry in order to devote himself entirely to his inner spiritual life and work. 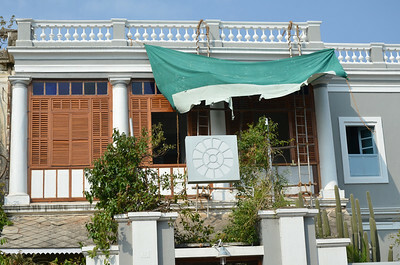 During his forty years in Pondicherry he evolved a new method of spiritual practice, which he called the Integral Yoga. Its aim is a spiritual realisation that not only liberates man's consciousness but also transforms his nature. 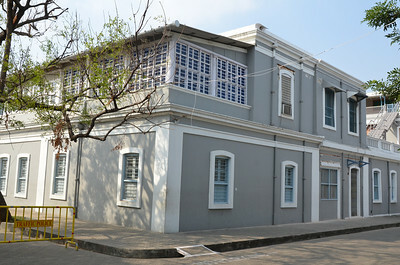 In 1926, with the help of his spiritual collaborator, the Mother, he founded the Sri Aurobindo Ashram. Among his many writings are The Life Divine, The Synthesis of Yoga and Savitri. 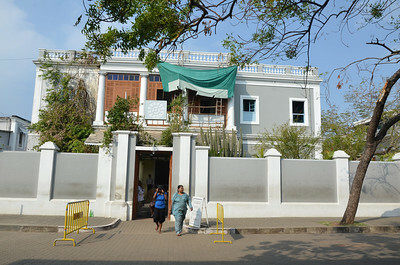 Sri Aurobindo left his body on 5 December 1950. 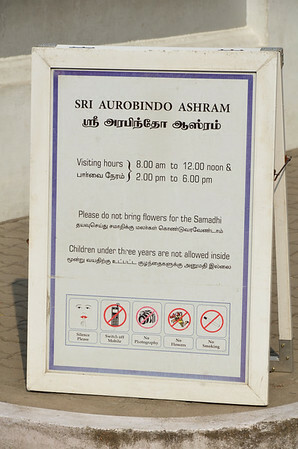 Camera and mobile are strictly prohibited inside the Ashram.